Adults - £15 per person, per flight. Group ticket - 5 people for the price of 4. Flights take place on the hour during SkyWire’s opening times. Pre-booking is available but not essential. Simply turn up on the day, at least one hour before the Eden Project’s published closing time (or darkness, whichever is earlier) and we guarantee the ride of your life! If you’re short on time, jump the queue by booking in advance online here (Limited number of pre-book slots available). With a group? Persuade four of your friends to take on the SkyWire and we’ll let you fly for free! Hangloose Adventure is a new and exciting brand which provides adventure activities on location at some of the country’s most iconic attractions. From Zip-wires to high ropes courses, a family day out to team building days and corporate events, there’s an adventure for everyone! 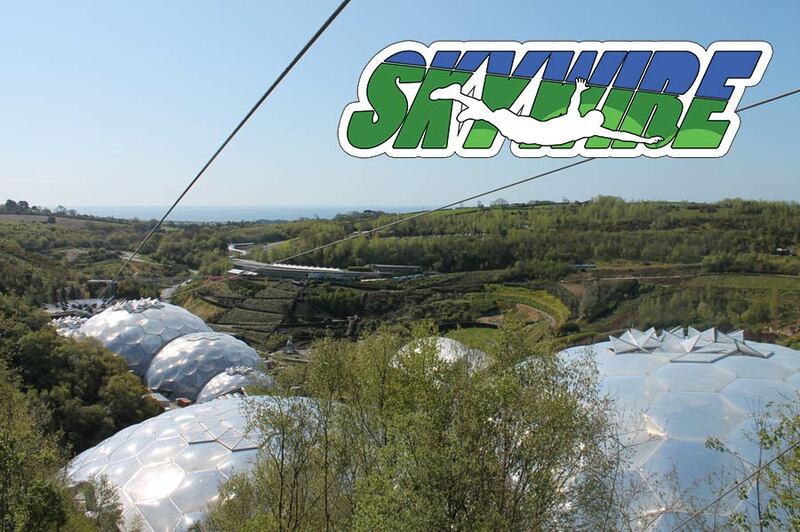 Hangloose Adventure’s pioneer site is ‘Hangloose @ Eden’ based at the Eden Project in Cornwall where you can find our flagship adrenaline ride SkyWire. At 660m long and 97 meters high, SkyWire is the country’s longest and fastest zip-wire. 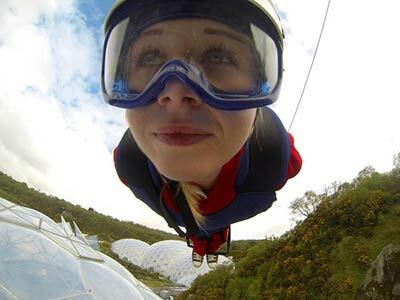 Crossing the entire Eden site including both the famous biomes, budding daredevils will take in breath taking views of the Cornish coast and countryside before soaring head first at speeds of up to 60mph in our specially designed superman style harness. Our team of highly qualified, experienced instructors will do everything for you, including give you a full safety brief, so no need to worry. Just sit back and relax. Suitable for anyone over the age of 8, it’s an incredible, adrenaline fuelled, pulse raising experience with no maximum age limit, so adults have NO EXCUSES! Looking for a special treat? Perfect for birthdays, stag/hens, weddings, or company days out, SkyWire is a highflying thrill ride you’ll never forget So whether you’re a cowardly lion or an extreme sports junkie, what are you waiting for? For the best adrenaline buzz in Cornwall come and hang out at Hangloose.